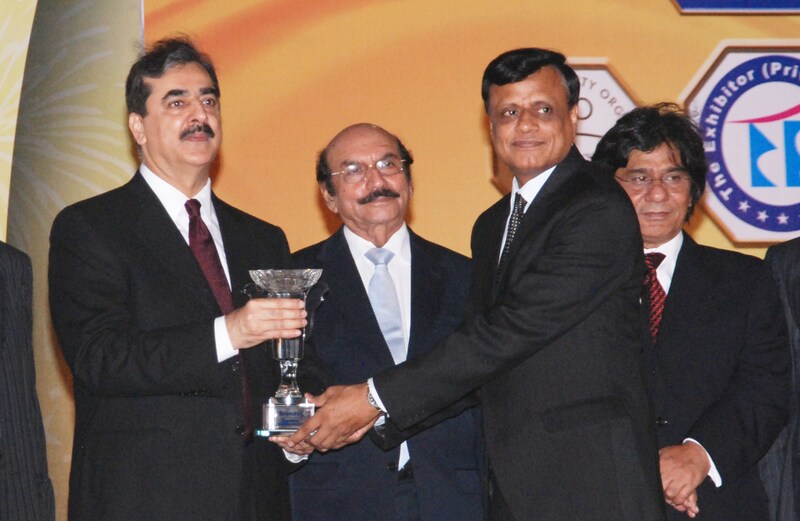 Mr. Zia Ul Haque,Director Operations,Jaffer Business Systems(Jaffer Brothers Pvt.Limited) is receiving Brands of the year Award 2009 for IT Solutions from the Prime Minister Syed Yusuf Raza Gilani. Jaffer Brothers Pvt. Limited has won Brand of the year Award 2009 in the category of IT Solutions by Brand Awards Council of Pakistan. Jaffer Brothers was selected amongst top 3 contestants in the category of Information Technology Solutions by brands of the Year Award Council and is declared winner by achieving maximum number of customer votes and by obtaining highest score in Expert Panel Analysis. The panel was consisted of the heads and representatives of bodies such as Consumer Foundation, PQQCA, PTA, TDAP, IPO and ministries such as Ministry of Petroleum & Natural Resources, Ministry of Industries & Production, Ministry of Commerce, Ministry of Finance& Economics and Ministry of Science & Technology. Besides the consumer survey and expert panel analysis the brand was also evaluated on the basis of popularity, familiarity, availability, brand value for money, brand reputation, impact of advertisements and promotional campaigns, quality satisfaction level, CSR projects and HR training programs. In a ceremony held at Governor House on May 7, 2010, the award for the winner in the category of IT solutions was presented to Jaffer Brothers by the honourable Prime Minister of Pakistan, Syed Yousuf Raza Gillani. Mr.Zia Ul Haque, Director Operations, Jaffer Business Systems received the award on behalf of Jaffer Brothers.